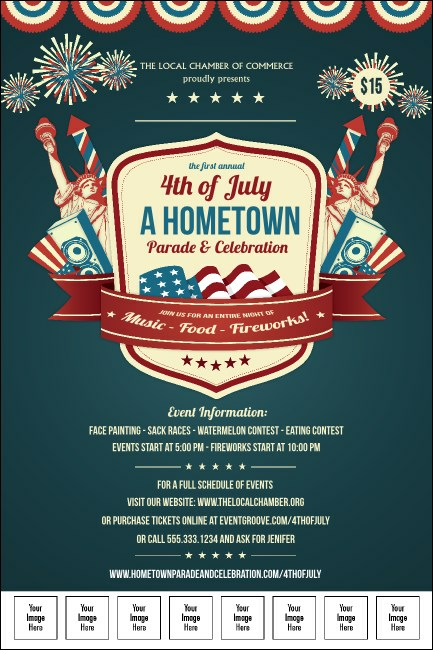 Celebrate your freedom to print the best pre-event promotions you can find when you advertise your holiday event in advance with Fourth of July Freedom Blue Posters. This pretty blue Poster template gives you space to upload eight of your own unique images, like sponsor logos or pictures of featured vendors. TicketPrinting.com helps liberate you from the advertising blues.